Microsoft is preparing some pretty great games for Xbox Game Pass subscribers. Among them is the critically acclaimed (and beloved by gamers) Monster Hunter World. On top of that, you’ll also be getting access to Prey, Resident Evil 5, The Walking Dead: A New Frontier, and more. Yes, indeed, one of gaming’s biggest darlings of 2018, Monster Hunter World, is coming to the Xbox Game Pass. In fact, it’s going to be available for those that have a Xbox Game Pass subscription starting today, April 11th. Yes, I’m absolutely dating this article. So, yeah, if you’ve been wondering what all the fuss around Monster Hunter World is about, but were reluctant to purchase the game, you can check it out this way. Plus, with the DLC starring Geralt and Ciri of The Witcher fame coming next month, what’s not to love? 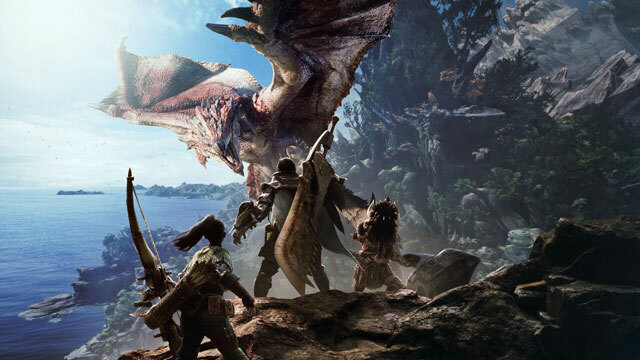 Monster Hunter World is far from the only major title that is coming to the Xbox Game Pass this April. In fact, a good week ahead of it, on April 11th, Prey and The Golf Club 2 are both making their way to Xbox Game Pass. Then, on the same date as Monster Hunter World, you’ll also be able to play The Walking Dead: A New Frontier, which is the penultimate season of the series. Lastly, on April 24th, Xbox Game Pass subscribers can look forward to playing Life is Strange 2: Episode 2, as well as the totally beloved and not at all controversial Resident Evil 5. So, yeah, one can say that the worth of the Xbox Game Pass is really worth the money. Currently, it gives you access to some 224 titles to choose from. And, it costs $9.99 a month. Oh, and, at the time of writing, they’re offering the first month for just one buck. So, if you’re gaming on Xbox, might as well give this a look.